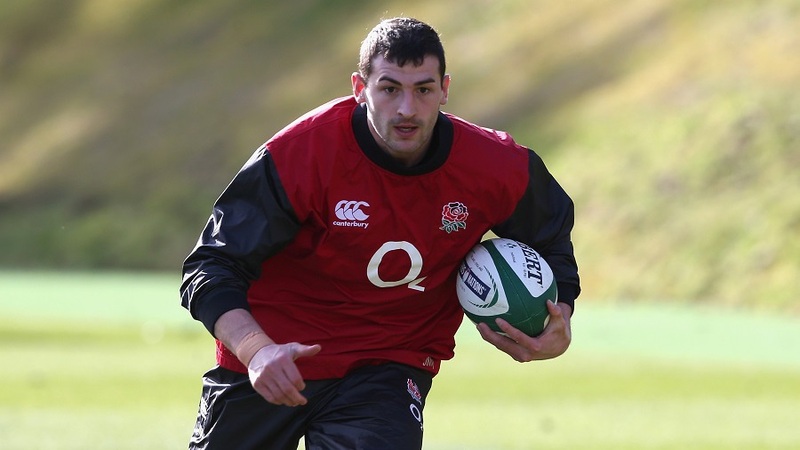 Jack Nowell is poised to start England's pivotal Six Nations clash with Ireland after being preferred ahead of Jonny May in a 26-man squad retained for the Dublin showdown. Nowell, who has overcome the shoulder and knee problems that blighted last season, will replace May on the left wing as reward for his strong form at Exeter. May scored one of the finest tries seen at Twickenham against New Zealand last autumn, but his suspect defence was compounded in the 47-17 victory over Italy when he failed to finish a routine chance. Nowell's strike-rate for England and his club Exeter is far from prolific, but his defence is solid and having played full-back in the past he is better suited to the kicking barrage Ireland are expected to unleash through half-backs Jonathan Sexton and Conor Murray. "We've had to make some tough decisions but it's a good position to be in. Those players going back to their clubs have another big weekend ahead to lay down a marker for later in the tournament," head coach Stuart Lancaster said. Nowell's promotion will be the only change to the starting XV unless full-back Mike Brown fails to complete the return to play protocols for concussion. Brown was knocked unconscious following an accidental collision with Italy centre Andrea Masi and is a doubt for the potential title decider at the Aviva Stadium. The reigning player of the Championship suffered a recurrence of symptoms last week and was forced to restart the protocols, but completed Tuesday's running session and now will progress to non-contact training. Alex Goode is on standby to deputise and Chris Pennell is also in the squad as full-back cover if Brown fails to prove his fitness by the deadline on Friday morning when the starting XV is announced. Kieran Brookes, England's bench tighthead against Wales and Italy, has a hip flexor strain, so Henry Thomas will join training on Wednesday as cover. Locks Geoff Parling and Courtney Lawes and flanker Tom Wood have recovered from injury but have been released back to their clubs and will not be involved against Ireland. "Preparation has gone well and we've had a good build up so far," Lancaster said. "The guys who played against Wales and Italy did really well and the good thing is that others who are now fit and training are pushing hard for selection. "Chris Pennell is in camp for the first time since last summer so we are taking this opportunity for him to spend some additional time with us as Worcester have no Championship game this weekend."